Poetics of Anti-Racism is a book that deals with racism in the use of language and the importance it plays in anti-racism communication. The authors talk about how language is used to express notions regarding race and racism in everyday applications. The authors of Poetics of Anti-Racism encourage the readers to bring forth a “meaningful change” through literary involvement as well as action. 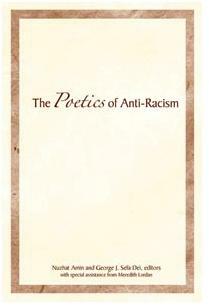 For more information on the book and its authors visit http://www.fernwoodpublishing.ca/The-Poetics-of-Anti-Racism-Nuzhat-Amin-George-Dei-Meredith-Lordan/.